Time for another interview. I look over the border of the UL universe and had a chat with Eric Hardee from Rivendell Mountain Works, who produces the renown Jensen Pack, a lightweight and durable pack aimed for alpine and mountaineering adventures. Read on how the company was established in the 70s, wrapped up in the 80s and started again in the new millennia! Eric on the EW Spire. Eric, please briefly introduce yourself and tell us who you are. Since when are you backpacking, and how did you start? How often are you out backpacking nowadays? Thanks Hendrik, it is an honor to be included amongst other cottage manufacturers who seem more established than myself. My operation is still very much a start-up. I started backpacking as a rather young lad in a summer camp in NH. Backpacking trips were a great way to escape the repression of the day to day camp routine. I continued my outdoor activity in college through the UVA outing club and took up rockclimbing, cross country skiing and winter mountaineering. I landed a summer job with the National Park Service and went on to have a 17 year seasonal career as a backcountry and climbing ranger. It was an honor to serve as a seasonal ranger in Olympic, Wrangell-St. Elias and Mt. Rainier National Parks. My passion became Alpine climbing and most of my trips were focused on that activity. Strictly backpacking trips became rather rare. I still try to get out on an alpine adventure once a year but job and family commitments tend to fill up most of my time. 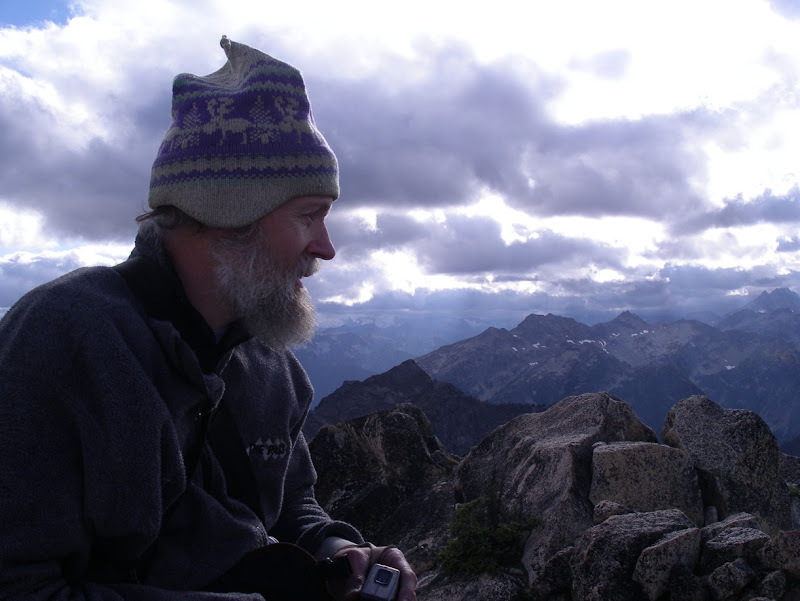 Because I tended to do technical climbing trips, ultralight backpacking was not my forte. However, it has also become a passion of mine to do super long, fast day excursions where traveling light is essential. We regularly ran trails as rangers long before that became a sport unto itself. Please tell us where the name "Rivendell Mountain Works" comes from, and what it stands for. Larry Horton started RMW in the early 70’s and used the name of Rivendell, the mythical home of the elves in Tolkien’s Lord of the Rings trilogy. I presume that part of the reason for the name choice was that vision of an imaginary, pristine, secret “shangra-la”. There has long been a quest in exploration history to find “shangra-la”. A great account of such a spritual and exploration quest is documented in the book “Heart of the World” by Ian Baker. I am continuing with the suggestion of that idea by coining the expression “may a Jensen pack be on your back when you find your Rivendell”. 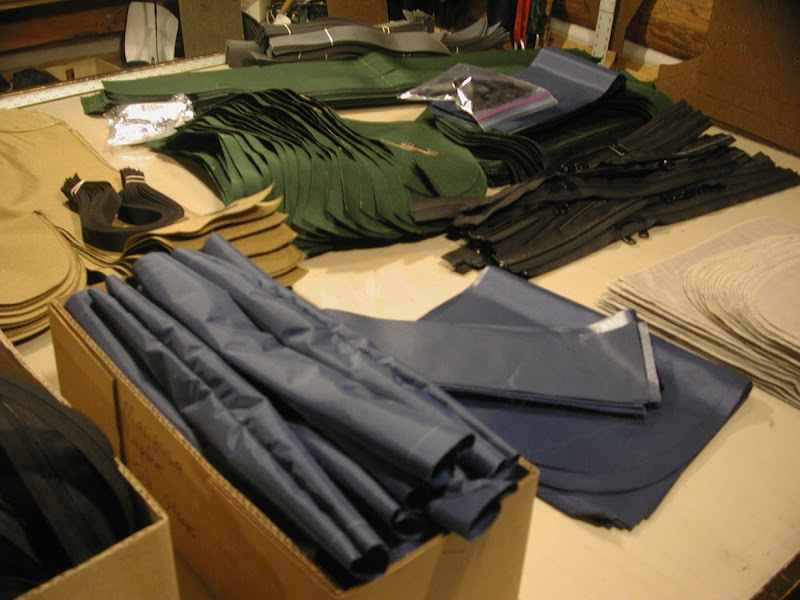 Materials cut out, ready for production. Rivendell Mountain Works makes the very acclaimed Jensen Pack™, introduced back in the 1971. Can you tell us a bit more how the rucksack was developed and changed over time? 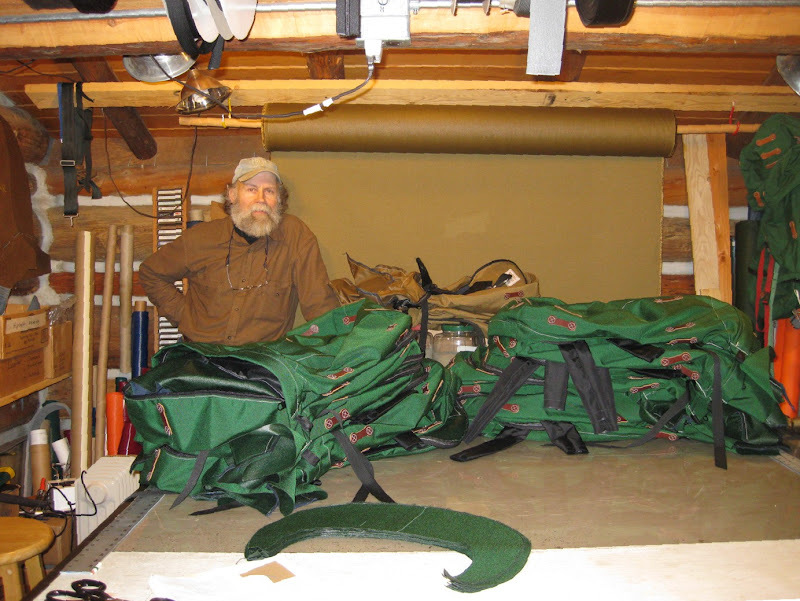 Don Jensen designed the pack in the late 60’s when there were few choices for packs that could carry substantial gear and also be suitable for technical climbing. The intent was to keep the load stable and as close to the back as possible to minimize the effect on the balance of the climber. By eliminating a frame of any kind the pack is also more flexible to the movement and contortion of the climber. It was probably also the first “soft pack” to allow much of the load to be transferred to the hips, reducing shoulder fatigue common to all other soft packs of the era. The evolution of the pack design has mostly been limited to improving materials, construction and ease of loading. The actual design has changed very little, since Don’s original concept was nearly perfect. When did you join the company, how has it developed since and where you are headed for the future? Rivendell ceased business as a day-to day company in 1981. I met the subsequent owner, Don Wittenberger, in 1985 and worked out an arrangement to continue making packs, selling by word of mouth. 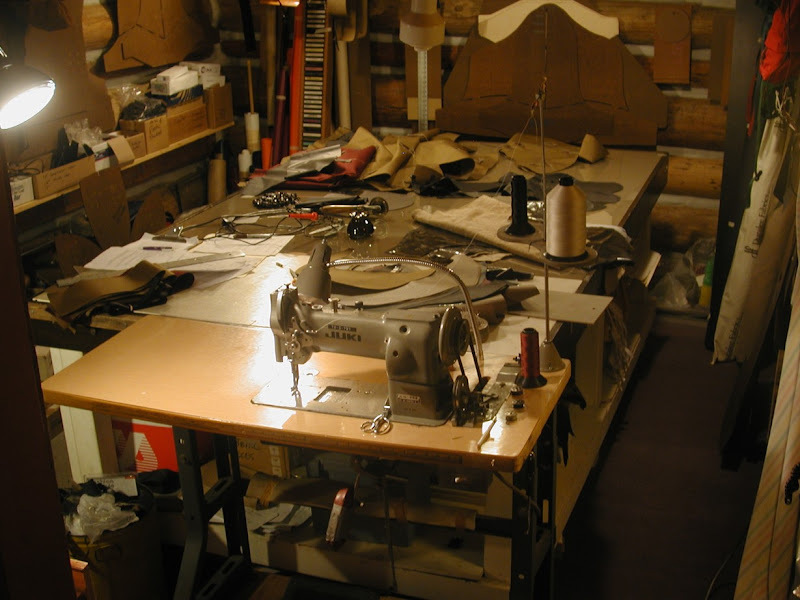 Due to a resurgence of interest in vintage and traditional gear, I relaunched a commercial presence in 2007. 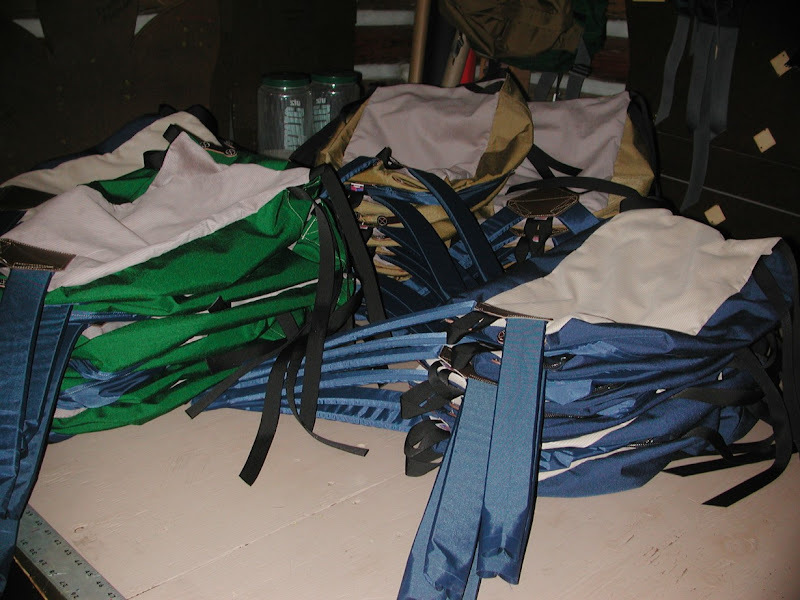 The packs were the mainstay of the original Rivendell, and my goal has been to revitalize that line of packs, maintaining the high quality by remaining a small, micro-cottage industry. Currently I am working full time in this endeavor. Eric, we love to be let in on the work-in-progress stuff! Can you let us know what kind of new products you're working on the moment? I’m developing a top pocket for the Jensen Pack line, which will give the pack an added convenience and functionality when using the pack in a backpacking or mountaineering mode. Because my operation has been a solo endeavor it has been difficult to work designing into the production schedule. Now that I have a quality contract sewing person I hope to have more time for this. How works the R&D at Rivendell Mountain Works, do you have a need yourself that you try to fix, or do some of your clients inspire you for new products and ask you for solutions to their problems? Both, the top pocket is a perfect illustration of this. From my years of carrying the Jensen pack I knew this would be a great feature and recent customers have been asking for it as well. Jensen Mariposa packs in the making. What is the bestseller from Rivendell Mountain Works, and where do your customer come from? Historically, the Jensen pack has been the mainstay of Rivendell products probably because it has remained one of the most unusual packs on the market. I have been shipping packs all over the US as well as overseas. Japan is a big market and there have been individual orders from England, France, Finland, New Zealand, Korea and Malaysia. I have had some limited contact with other cottage manufacturers and intend to do more of that in the very near future since the resource is a valuable one. I have carried a Jensen pack exclusively since about 1977. Often I still use a Camp 7 Arete VBL down sleeping bag. My favorite tent for many years was the Stephenson (Warmlite) 3R. Stephenson tents are by far the lightest tents for their size/volume considering that the tents are suitable for winter mountaineering and extreme conditions. 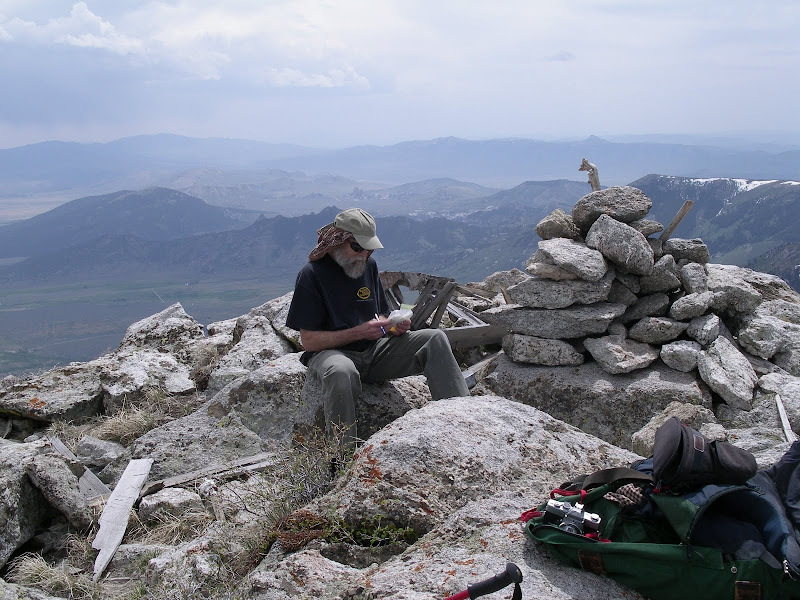 My last multi-day backpacking trip was a 3 day solo in ONP, several years ago. I’m not a fanatic about weighing my pack but I’ll guess it was about 30 lbs. Eric with a Cache on Peak Summit. It seems like there is more general awareness of ultralight backpacking as a style that ecompasses minimalism. Ultralight gear itself is becoming much more popular and because of that many backpackers will end up with lighter packs but probably not fully embracing the ideas behind traveling without many things….